The judges have completed their evaluations and the top three entries in each category are nominated for a Judges' Choice Award. Winners will be announced at the Judges' Choice Awards on Friday May 3, 2019. Registrations for the 20th Bridge Film Festival Screening Event is now open! Save the DATE! - Screening Event Announcement! 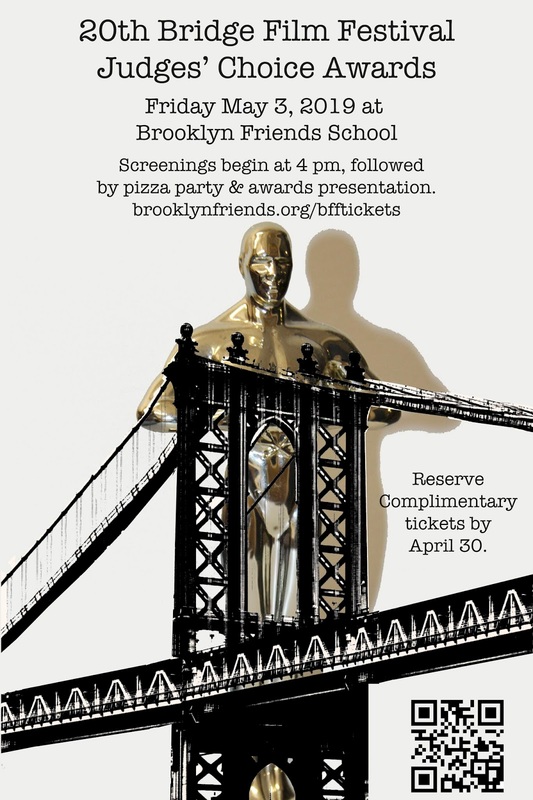 This year marks the 20th anniversary of our film festival! 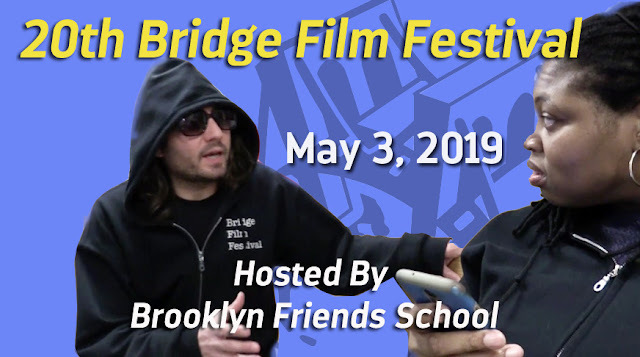 To celebrate this auspicious occasion, Brooklyn Friends School will host a Film Festival Screening Event in the Spring, on the evening of Friday May 3, 2019. All are invited! Save the date and mark your calendar now. Please fill out the registration information before Friday April 26, 2019. If you intend on bringing a group larger than 20, please contact info@bridgefilmfestival.org. Ken Burns Says, "Let Your Film Speak!"